For nearly a decade, Ultivillage was the sole source of visual media for ultimate and a video primer on the best players and teams in the world. The company’s founder, Rob Baril, burst onto the scene by producing Disc 1, a DVD of the 2004 Northwest Regionals and Open Club Championships in Sarasota. The ending, a thrilling, nail-biting 15-14 Sockeye victory over Jam in the finals, was the perfect culmination to a non-stop action packed highlight reel that proved our viewing experience would never be the same. Based on the success of Disc 1, Ultivillage went from hand delivering DVDs to customers at local tournaments to then-UPA’s videographer of choice, filming regular season and championship events year after year. Baril expanded his offerings to include streaming video with live commentary, and his Clips of the Day became legendary water cooler talk in an era before Skyd, Ultiworld, and Reddit. Ultivillage videos always had a unique aesthetic. The earlier Above and Beyond series was story-focused and employed a narrator, while Stacked used classic-rock soundtracks over video highlights combined with full-length commented finals games. Baril’s frenetic music and aggressive editing lent Ultivillage videos a sense of drama as yet unseen in the world of ultimate media. But after nearly a decade of dominance, Ultivillage faded as quickly as it rose, succumbing to the upstart NexGen Network, a deluge of video content in the YouTube era, and the financial and time pressures of raising young children while working in a business with slim profit margins. By the end of 2012, after seeing the writing on the wall with USAU’s media contract with ESPN and the growing commercialization of the sport, Baril took the opportunity to place Ultivillage in hibernation. Baril has launched Ultivillage 2.0 as his way of unleashing hundreds of hours of never-before-seen footage back onto an ultimate community that is more connected and media hungry than ever. He wants to hear from you about which footage to release first. As we approach the ten year anniversary of Disc 1, I spoke to Rob about the impact of the DVD, the financial difficulties of ultimate media, the best game he’s ever filmed, Ultivillage’s legacy and plans for the future, and where he sees the sport heading. My first memory of you and of Ultivillage was the 2005 Stanford Invite, where you were personally hand-delivering copies of Disc 1. Did you intend for Ultivillage to grow and have the impact it did? My initial intention for Ultivillage was to be more of a distribution portal. I started playing the sport when I was 23 years old. I was an entrepreneur at the time and I first fell in love with the sport at Canadian Nationals in Ottawa in 1999. It was the first time I had ever seen Furious George play and it was the first time I had seen Ultimate played at that level. I said to myself, “this sport is the future and I want to do something.” I had initially put out a plan to start an Ultimate distribution business and began talking with [Canadian ultimate apparel company] Gaia about selling their products. They called me out to Vancouver – I was living in Calgary at the time – and offered me a job, so I ended up working there for a year before I launched Ultivillage. 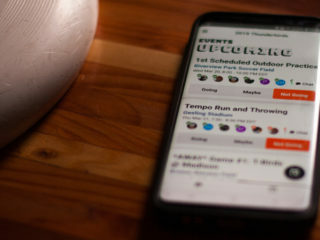 When I launched Ultivillage, I wanted it to be the Amazon.com of Ultimate, but I didn’t know how to get people to the site. So I said, “let’s make a video,” and it just kinda snowballed from there. I never intended it to be a video production company, but that just ended up being the niche that needed to be filled at the time. Did you have a background in video production? None. I had never filmed Ultimate, never edited video, never taken any courses. It was all completely shot from the hip and I was lucky to choose the right subjects. Funny story, the first video I shot wasn’t meant to be for video purposes. It was meant to take stats for fantasy Ultimate. I’m a big hockey fan and that was the year of the lockout so I didn’t have any fantasy hockey going on and did fantasy Ultimate instead. I drove down to Northwest Regionals in 2004 which was just across the border in Blaine that year and borrowed my friend’s little $200 Canon video camera and sat on a ladder and filmed. So the fact that that footage made it into the DVD was just because I happened to have it. After that weekend I decided to buy a high-end camera – worthless now – and my girlfriend and I hopped in a car and drove down to Sarasota, Florida, stopping on the way in Chico. After Sarasota we went up to Atlanta to film the Classic City Classic. I remember the first time watching the DVD, which ends with this incredibly dramatic finals game between Sockeye and Jam showcasing the best the sport had to offer, followed immediately by footage from the Chico Invite and Classic City Classic, and being completely confused. (Laughs) That was supposed to be my teaser for Disc 2! I had to give the college kids another reason to buy Disc 1. I thought I had planned out what I might do with the DVD, started editing, and just did what I did. It worked out great in the sense that I was able to follow Sockeye, Furious, and Jam all the way through. Having that rivalry at my back door all those years really benefitted the company for sure. Talk a little more about that. You’ve lived in Vancouver for a very long time. What was your relationship like with the guys on Furious George and how did that rivalry impact your work? I had only lived in Vancouver at that point for a couple of years. I moved there in 2002 just before Club Worlds in Hawaii, where I was selling Gaia gear. I had played Ultimate fairly competitively in mixed but was never a fast guy so I never tried out for Furious. I knew some of the guys from working at Gaia. Truth be told, when I emailed the guys about my filming plans, everyone was receptive but the Sockeye guys were more approachable. They were younger. Furious was kind of a serious, older team and the Sockeye guys were just these college kids right out of school like Ben Wiggins and Alex Nord. I was in their huddle a lot more than the Furious huddle because I gravitated that way and it was easier for me. Over the years I’ve interviewed Andrew Lugsdin I don’t know how many times but I remember he brought it up one time. He remembered thinking “Isn’t that guy from Vancouver? Why is he on their sideline?” So I didn’t have any close friendships that I needed to nurture or was afraid of offending, but definitely over the course of the next few years I got to know several of the guys in the rivalry quite well. I would go down to Seattle where a bunch of them lived in a house together. I would record them for the voiceovers for Disc 1 and things like that, so I got to know a bunch of them quite well. Some have called that 2008 World Championship game between the U.S. and Canada the best match of all time. Is that the best game you’ve ever filmed? It has to be up there. That was such an emotional week. There was so much going on in my life. My pregnant wife was working the tent for me with my one-year-old daughter. I was also working with some really close friends, including Dale Oliver who worked with me since day one and Patrick Cloutier who really helped me get the livestreaming off the ground for that event. Such long days, such short nights seven to eight days in a row culminating in that finals moment was pretty incredible. It was the first time I had ever filmed in front of a crowd that big. There were probably 5,000 people packed into that stadium with standing room only up and down the ramps. The rain came out just for that game. Canada got out in front in the beginning and the U.S. slowly clawed its way back with some questionable calls. Just the emotion of that rivalry, it was the best. I knew everyone on the teams, who they would be matched up against, who had trouble marking who. When you have two teams that know each other that well and play each other that often, no other matchup could have rivaled it. What was the reaction you received from the Ultimate community when you released Disc 1? After that, one of the first feedback reactions I got was at College Nationals. Adriana from VC Ultimate and I became friends and were at a lot of tournaments that year. They were actually the official videographers for that UPA Club Championships, had released a DVD that year, and were selling it at College Nationals. Afterwards, she told me a kid walked by, looked at her video, and said “Disc 1 is better” (laughter). She was like, “yeah, I know.” So a few stories like that are always fun and the momentum built up for sure. At the time, RSD was really the only Ultimate medium. 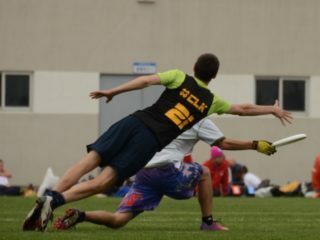 We didn’t have Skyd or Ultiworld or anyone doing writeups about tournaments. Making a DVD is really a lonely process, being at my computer at the office for hours on end editing and editing, so attending the tournaments really helped fuel me off the energy of the athletes and getting real-time feedback on my products. What was the reaction like from players? Were they amused that anyone would take this much interest in them? Did anyone demand compensation for profiting on them? Naw, they were just really happy that I was there filming and wanted me to film them. I would get some comments about not filming more women’s Ultimate. That’s always been a battle. It’s hard enough to make any money off filming elite men’s Ultimate. Any time you spend doing anything else you’re literally throwing money down the drain. I tried to do what I could to serve the community but I always had to lean back toward the men’s game. I remember Seth Wiggins wrote an email to UPA Director Sandy Emmerle on which he cc:ed me that said “Listen, you guys need to subsidize Ultivillage’s coverage of women’s Ultimate.” We were able to get that going, and eventually it became something where I was being paid by USAU to film their events rather than me doing it on my own dime and trying to make it back on DVD sales. That also had its consequences for the time and energy I put into making Disc 1 and Disc 4. Once I started producing all four divisions I couldn’t possibly put the same time and energy into each division. So I basically had to dumb everything down a little bit and it became formulaic. It was more about getting content out at that point and less about telling a story. You owned the ultimate media market for years, but Ultivillage seemed to slow down just as ultimate exploded into the YouTube era. Was it the public’s insatiable appetite for free content that changed things? I look at all the resources out there now for people who are doing video coverage of Ultimate and it just wasn’t like that when I started. In 2004, YouTube didn’t exist. I was putting out these little videos that were two inches by two inches wide so they could download in a reasonable amount of time. I went to Worlds in 2006 in Perth and uploading those little files took forever – like three hours to upload a three minute video. Technology has changed so much since then. Everything I did for years was standard def and now it’s all hi-def. I look at what’s going on now and there’s certain things that just weren’t possible back then. I feel like for the first four years we really innovated. We went from producing DVDs to creating UvTV in 2005 pre-YouTube. Then it was livestreaming in 2008. I feel like I didn’t innovate enough after that. I got into a position where I had a young family in Vancouver – not the cheapest place to live in the world – so I had to start making money. I was just trying to find a way to put out content the best way I knew how and sell it. Then came along all these kids that didn’t need to make money. I was actually surprised the competition didn’t happen sooner. NexGen was really the first company to say “we’re gonna do this better.” I remember when I was watching the videos that came out before I started, I said I can do this better. NexGen saw that I hadn’t innovated in a while. I saw the writing on the wall. I had an opportunity to go into business with a friend of mine and realized it wasn’t possible for me to make a living and be in this industry. NexGen Network has been widely praised for the quality of its broadcasts, but has run into financial difficulty. Professional leagues have popped up but have uncertain futures. Is this the beginning of big things or are we putting the cart before the horse? As far as the Ultimate industry today, to me it looks like the Klondike Gold Rush in California. There’s a whole bunch of people who want to make a living doing this but there’s not that much gold there. I think you’re gonna see people falling off in the next little while. I don’t want to go on record and say this company or this person or this league isn’t going to make it, because I’ve always been a dreamer and I followed my dream and chased it as far as I could. But I really have trouble seeing either of the professional leagues making it. I know that the owner of the AUDL now is guy who makes a ton of money on his own with Cisco, and with his business prowess and connections he can do great things. But the way the AUDL is structured requires a lot of other people willing to lose a lot of money over a number of years. 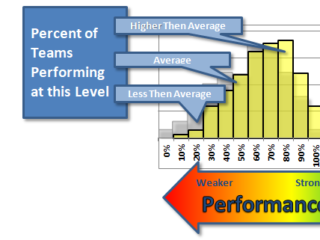 The MLU has a more centralized model, but it’s a similar situation. My experience watching this sport grow and knowing the insides of the industry and what kind of money is going through it means that I’m glad I’m on the sidelines right now. Trying to compete to produce video in this market when everyone has a camcorder and every college kid wants to make a video of their own team means it’s really really hard to make money filming Ultimate. Can you give a sense of perspective for how much it costs to film a typical tournament and how much money you were making in a given year? I don’t want to go too much into specifics, but in my peak year in 2008 – when we filmed Worlds, Club, and College Nationals – I was filming under a contract with USAU. They were a big part of my ability to actually generate revenue and turn a small profit. Having World’s here in Vancouver and having it be as competitive as it was was a big boon. The biggest cost of filming an ultimate tournament is travel and living expenses. With NexGen, though, they invested $20,000 in a machine that just handles replays. I worked with NexGen on their first tour and distributed their videos on my site.When Kevin [Minderhout] told me he was bidding on filming the UPA Club Championships in 2012, I wasn’t going to tell him he couldn’t do it or anything like that. Good on him for seizing the moment. But then the UPA wanted replays and other bells and whistles and I just wasn’t prepared to make that investment because I knew I wouldn’t recoup the cost. Whereas Kevin saw the opportunity and wanted to seize it, I saw that as my opportunity to bow out, if you will. At that point I was hardly making money with no competition and now I had people who wanted to advance things and weren’t interested in making money. I said okay, that’s not for me. Did you have another job at the time? Or was Ultivillage your full-time job? It was for several years until 2012. I didn’t go to club nationals that year and for me that was the writing on the wall. That winter a close friend of mine was starting up his own property services company. I had worked in that industry when I was starting Ultivillage. It was sort of a perfect segue into another chapter of my life. I still wanted to do Ultivillage part-time. It was like a baby of mine. When you nurture and build something for that long then it’s really really hard to let go. For me it was an extended period where I was still going to the odd tournament in Seattle or Vancouver but within a year I had pulled myself out of the game. It was the right decision for sure. Looking at it now I’m glad I got out when I did because it’s like the wild west now. A whole bunch of people looking for the gold. Is it possible for an independent ultimate-focused company to survive in today’s media landscape, or is it inevitable that the ESPNs of the world will take over? Because people get so passionate about this sport, there will always be those people who don’t really need to make a lot of money. They don’t need to support a family or take on a lot of responsibilities yet, so they can just do it as a passion. So if they can make enough money to get to the next tournament they’ll do it. But, when there finally is enough money in the ultimate industry that’s when the ESPNs will just take over. What was your relationship like with the UPA and how did it change over time? I had built up a really strong relationship with the UPA and then when Tom Crawford took over it was never the same. It wasn’t the same camaraderie. It was all business. That was one of the things I really enjoyed about it, too. I grew with the UPA/USAU. When I made Disc 1, it was purely “Hey, can I get the rights to film?” “Yes.” The next two years I went as the official videographer sponsored by VC. By 2007, I was finally generating contracts with the UPA. The first one was just a small little $5,000 contract to go film college nationals in Boulder. Then the next year we finally brought livestreaming to Sarasota. So it was a growing process. We didn’t just come on the scene as the end-all-be-all. By the time NexGen was on the scene, everything had changed and honestly I felt a little bad for Kevin being squeezed by USAU and the ESPN deal. Ultivillage was honestly just the right business for the right time. What’s your plan for Ultivillage moving forward? Do you think you’ll ever get back into the filming business? I’m not sure what I’d do with Ultivillage now. One of the things I want to do as a pet project is a documentary about the buildup to 2008 Worlds in Vancouver. I think that’s the ultimate story that I captured over those years. I also have this desire in me to put out a Clip of the Decade release taking all of my old Clips of the Day and re-releasing them in higher resolution YouTube format versus the small clips I had way back when. I still hope that Ultivillage has a fan base that appreciates what we did, but in this online world it’s “what have you done for me lately?” We’ll see what happens. I haven’t let go, but I’m not as interested in the late nights editing video with three little ones and a full-time job and all the responsibilities I now have. It may be a project for another day or a project for another person, but we’ll figure that out. The thing is, I have so much good old content. Now there’s so much video being released that it’s hard to miss something important or entertaining. If one guy misses filming something you can pretty much find it from someone else. At the time, there was just no one else doing that. That’s one of the unique things that Ultivillage had going for it – we were the only player on the block. If that footage gets lost it’s a whole generation of ultimate players that would go down with it. So I’d love to get that footage online. That’s another thing, just the storage. When I first started filming I would pay like $200 for a 150GB hard drive. Now it’s $100 for a 3TB drive. So at the time I would just capture the footage I wanted to use, but by the end I was pretty much getting everything. There’s so much footage that’s never seen the light of day. I have this massive drawer with hundreds and hundreds of tapes. I don’t want to lose it, but the thought of having to go capture it all is daunting. But hey, maybe what comes out of this is that we find some kids that want to figure this all out. Another thought is giving other people the opportunity to tell a story with my footage. What do you want Ultivillage’s legacy to be? It’s funny, I remember thinking back in the day that Ultivillage would be my legacy. Then I had kids and you realize what life is really about and what your legacy will really be. To answer that question, what I’m most proud of is the generation of ultimate players that grew up on my videos. All these people in different countries that would learn via my content to throw by copying Mike Grant or play D by copying Andrew Fleming. I think that was probably my biggest impact. For a lot of people, my videos were their only sources of watching and learning from high-level ultimate. There also seemed to be more of a sense of community. When you came out with a Clip of the Day, everyone was talking about it. Yeah that’s a part of it too. The Clips of the Day were probably what I was best known for. When I was filming there would be a big play in the endzone and people on the sidelines would go “Clip of the Day! Clip of the Day!” That was always fun for me. Probably one of the more interesting stories was after worlds in Prague in 2010. I came back and not long afterwards went home for a family trip to Winnipeg where I grew up in the prairies. I had just released the clip of the Andrew Fleming catch. When I grew up in Winnipeg I would go out to my parents’ cottage where we don’t have TV, internet, or cell phone reception. Just before I left I got an email from ABC Sports asking me if they could use this low-resolution clip that I put on my website. By the way, that was one of the dumbest things I ever did not putting it in high-definition. I just had no idea about the reaction. I told them they could use it and then left for the cottage the next day. A couple of days later I went into town just to check my email to make sure the world’s not falling apart, and I had like four emails from other major sports channels asking to use the clip. So I’m coming home on a plane and I keep hearing stories and reading on RSD about how this clip is blowing up, but I hadn’t even got a chance to see it yet because I didn’t have access to a TV. I was on the plane back from Winnipeg with my daughter in my lap, so I couldn’t use headphones to listen to the TV in the headrest in front of me. I was just silently watching The Score, which is a Canadian sports highlight channel, and they were playing the clips of the week. Up comes that video of Andrew Fleming, and it was such a surreal moment. It just came out of nowhere and I didn’t really know what was going on. Now you put a video on YouTube and count the hits and just see what’s going on in real time. Actually, a thing that pissed me off was that someone had uploaded a Spanish language version of the clip to YouTube that got well over million hits. But yeah, that was one of the more gratifying moments. You’re producing video for such a small community for so long. And to have the rest of the world say “hey, that’s pretty cool,” was great. Where do you see ultimate going in the next five years and do you bemoan the loss of innocence and increased focus on legitimacy? Is the sport going in the right direction? I think everyone wants to have their cake and eat it too. I wanted to take ultimate down the ESPN road and that’s where I saw the sport headed. But I also really enjoyed hanging out with players on the Daiquiri Deck in Sarasota after club nationals. It’s really hard to have both. I’m not a fan of all the moves that USAU makes, by any means. I think they’re a little heavy handed at times. But I also understand that they want to control the message. I appreciate what they’re trying to do and I also appreciate the MLU and AUDL as well. I don’t think the world’s ready for them and that we’re years away from a stable professional league. I used to play a lot of ultimate – hockey won out for me – but I understand the passion for the game. I lived the passion for a lot of years. At the end of the day, if people who want to play have the opportunities in semi-pro leagues, I think that the USAU Club Championships may end up being a second tier. They are definitely going to fight to hold on to those top players for as long as they can. Ultimately, I do want to see ESPN covering live games on their main channel. I’m not a spirit zealot. I think that refs are an alternative, but that said, I personally found playing un-reffed ultimate very gratifying. The Vancouver Ultimate League is one of the most competitive in the world and I’ve never had an issue. I played with and against Furious players when I was with a mixed Furious/Traffic offshoot team and it was never contentious. I’m not concerned with how the elite players are playing at the highest levels, but rather the summer leagues where keeping spirit alive is most important. We have to make sure that players at that level are playing with respect and not trying to see what they can get away with. Once you get to the finals of a major college or club tournament refs are fine, but I personally really enjoy the self-officiated, laissez-faire, competitive side of ultimate. My hope is that everyone can find the ultimate that they want, and if professional leagues aren’t your cup of tea then USAU can be. For anyone to tell anyone else that what they think is wrong is wrong in and of itself.